Who doesn’t love the taste of peanut butter and chocolate in a dessert recipe? The combination of the two flavors gives me a Reese’s moment every time! 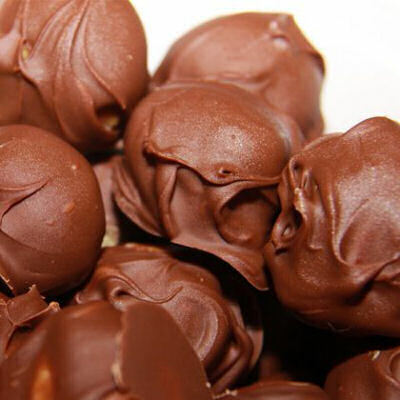 These are some of my favorite peanut butter chocolate recipes. From cookies to bars and truffles. I’ve got you covered. 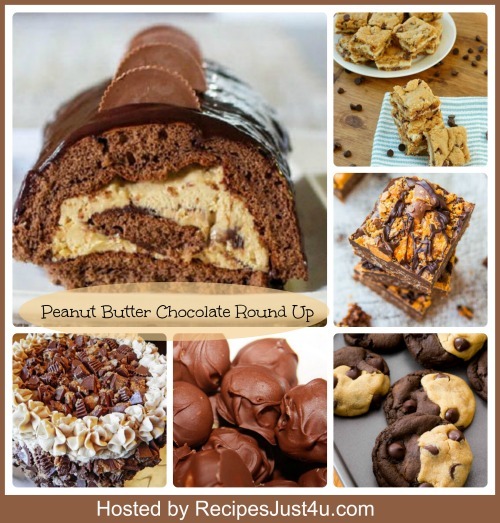 Round up of my Favorite Peanut Butter Chocolate Recipes. 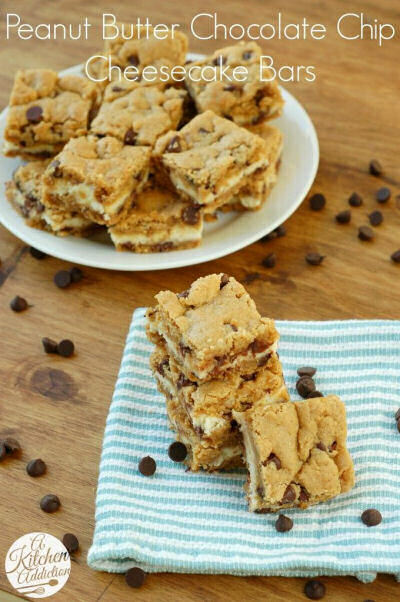 Here is a round up 6 of my favorite PB and Chocolate recipes that will satisfy your craving for one of the best flavor combos in all of foodie land. 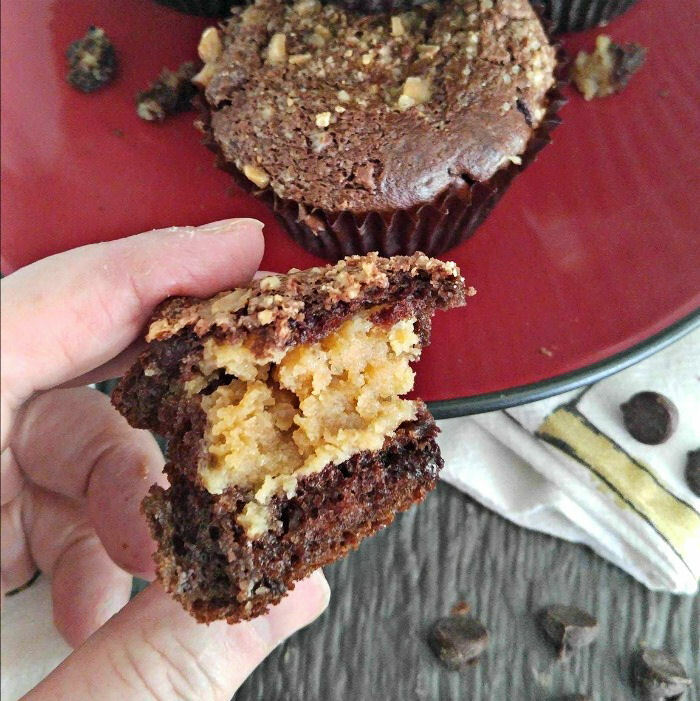 These chocolate peanut butter muffins have the most amazing peanut butter and cheesecake center and a crunchy topping. Out of this world! These rich chocolate brownies have a subtle flavor of peanut butter infused into the batter mix. Crunchy pecans gives a nice texture too. Get the recipe here. Peanut butter, chocolate AND cheesecake? I have died and gone to heaven! Source: A Kitchen Addiction. 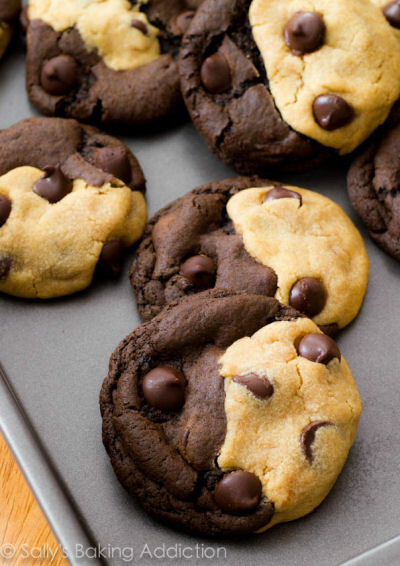 These scrumptious looking soft baked peanut butter chocolate swirl cookies bring out the yin yang in me with their colorful two sided look. Source: Sally’s Baking Addiction. Are you looking for a sweet treat that makes you think of Reese’s Peanut butter cups? Try this one on for size! Source: Grandmother’s Kitchen. 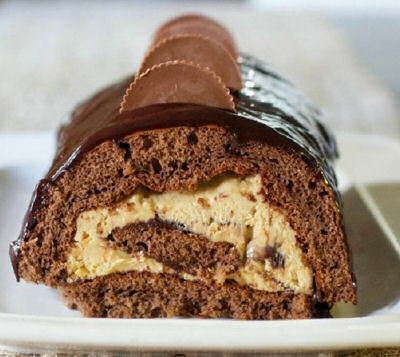 All rolled up with a creamy peanut butter center and chocolate glaze and even a couple of Reese’s cups as well. What is not to like? Source: Betty Crocker. Oh my goodness…and now we are going to add butterfingers in too? Just kill me now! And they are gluten free too! Source Avery Cooks. My pleasure Averie. I love your website and feature it a lot. 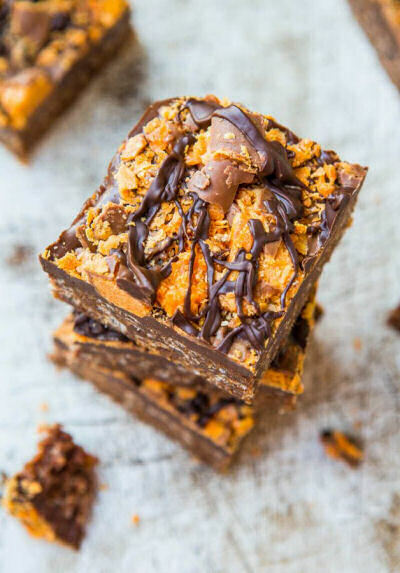 thanks for linking my butterfinger bars!